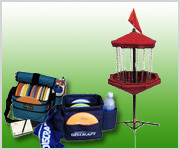 How to find the right Disc Golf disc? Each disc is rated for stability. At the far end of this scale is a stability rating of 3, which indicates a very overstable and difficult to control disc. Discs with a high stability rating will have a tendancy to 'hyzer,' and you may find it challenging to keep them flying straight. At the opposite end of the stability scale is a rating of -3, which indicates a very understable disc. These are much more easy to control, especially when the discs are new. 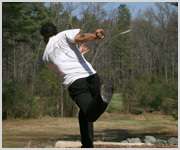 Nearly all discs become somewhat less overstable as they wear. The bottom line for your needs regarding stability is this: look for discs with a lower stability rating. 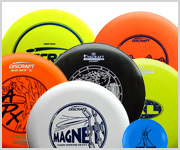 Any disc with a stability rating at or below 1 will be more suited for your game. 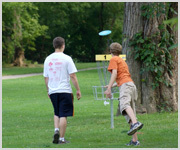 Read more in our Disc Golf Stability Guide.